There are different species of plant parasites that affect human beings, animals, and plants. These parasites usually have different habitats where they are best suited to thrive. They sometimes cause adverse effects on the bodies of their hosts. However, there are good parasites that are beneficial to the surrounding. For example, some parasites are responsible for decomposition of organic matter that in turn improves the fertility of the soil. This article reviews the Bipolaris mold, its habitat, health effects it causes as well as ways in which they can be treated. With over 20 identified species, Bipolaris is a plant parasite that can be found in plant debris, soil, and a variety of other materials. It can grow in semi-dry environments and often wind disperses it through air. Bipolaris species have a velvety or wool-like texture. They are initially white to greyish-brown and turn green to black over time. Bipolaris molds grow rapidly, becoming mature within five days. Three species of Bipolaris are well known to be pathogenic to plants, particularly grasses: B. spicifera, B. australiensis and B. hawaiiensis. Reportedly,Bipolaris produces a mycotoxin, which has been linked to liver and kidney damage in laboratory animals. Bipolaris mold is a plant parasite that is majorly found in plant debris, soil, and other plant materials. Semi-dry environments are the best in which this parasite thrives. It also moves through wind dispersal. 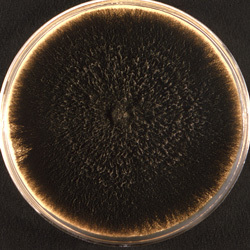 This mold appears brownish-grey or white in color. However, the color turns into green over time. It has a wool-like texture and it multiplies within a very short period of time. It multiplies through spores. As a matter of fact, Bipolaris can only take a maximum of five days to fully grow. The mold can also grow inside respiratory tracts of human beings and animals. It can find its way inside through inhalation of infected air. What are know Bipolaris species? This parasite has many known species of its kind. Currently, more than twenty species have been discovered and the manner in which they behave. Some of the species of Bipolaris include Bipolaris spicifera, Bipolaris australiensis, Bipolaris hawaiiensis, Bipolaris crotonis, Bipolaris indica, Bipolaris ovariicola, and Bipolaris tropicalis among many others. Some of the Bipolaris species are known to be pathogenic to grass and other plants. Each species of the parasite causes different health effects on human beings once inhaled. Bipolaris spicifera is the most predominant species that exist in the environment. According to statistics, many people have suffered from low yields due to the rapid spread of the Bipolaris mold that has affected plants. In the United States, Bipolaris spicifera has been named as the most prevalent species occupying a percentage of 67.3. Bipolaris hawaiiensis is the second common although its percentage is slightly lower. 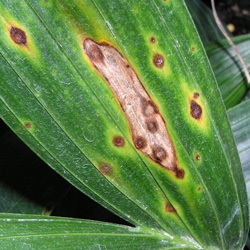 These pathogens mostly affect plants resulting in the poor development and hence reduced yields. Bipolaris is really bad as it causes allergic and pathogenic reactions to humans once ingested. Eating leftover food should be avoided at all costs. 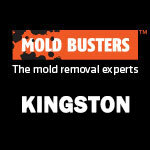 In case you discover or suspect the presence of Bipolaris mold in your home, Mold Busters Company will be a call away. They offer the best services that will save you more severe costs that may be incurred as a result of living with the pathogens in the same house. 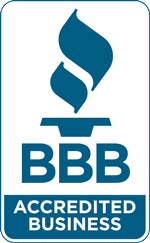 Where can Bipolaris mold be found? The Bipolaris mold is usually found outdoors although it can also find its way into the house. It mostly grows on grass, grains, soil, and plants. Indoor plants can also be a good habitat for this parasite. Moist surfaces like decaying food, wet carpets, damaged items, and hardwood floors can also offer a comfort zone for the Bipolaris mold. The ceiling board, especially above the bathroom, is also a good thriving place for this mold. A developing Bipolaris is usually fluffy and soft to touch. When it matures, its color becomes black or dark olive. What are Bipolaris health effects? For humans, Bipolaris is a potential allergen that can cause allergic fungal sinusitis once inhaled. 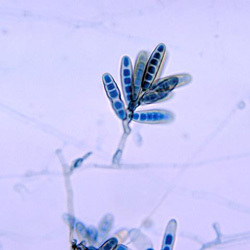 For people with severe allergies, the large spores of this fungus can attach to the mucous in the upper respiratory tract and grow, causing a persistent allergic reaction that gradually leads to permanent damage of the sinuses. In addition, some people exposed to Bipolaris may experience hay fever and asthma. Luckily, this mold can be identified through various air sampling and surface sampling techniques. 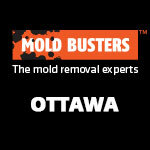 At Mold Busters, we provide same-day mold testing with fast and accurate results. Bipolaris mold is a great threat to human life as well as plants. In human beings, it can cause allergic fungal sinusitis in the event of inhalation. Being able to be dispersed by wind, it becomes a major cause of respiratory allergies and complications. People with a weaker immune system can severely suffer from the inhaled spores. In such rare cases, the mold grows on the mucous membrane along the respiratory tract. Some of the allergic reactions that Bipolaris can cause to humans include allergic asthma, redness of the eye, hay fever, anaphylaxis, swelling of the dermis, urticarial or hypersensitivity pneumonitis. Bipolaris can also cause pathogenic reactions in the body of humans. The pathogens may invade the cornea, skin, the aorta, bone, lungs, and central nervous system causing brain lesions. Bipolaris also causes Mycotoxins. Among the symptoms of respiratory effects are coughing, wheezing, stuffy or a runny nose and asthma. In other cases, patients may experience itching, dermatitis, and eczema. How to treat and remove Bipolaris? Bipolaris parasite can cause adverse effects if not managed on time. Treating allergic reactions caused can be quite expensive. In extreme cases, surgery is required to treat the problems. Nevertheless, fighting this parasite can be a better option to prevent negative effects. 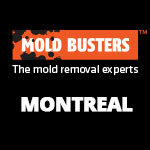 Mold Busters Company is a well-established organization that offers services that aim at eradicating Bipolaris mold from your homestead. The services offered include de-humidification of wet surfaces where the parasite can thrive, testing mold in the air, removing the mold, making basements proof from molds, treatment using antimicrobial, and cleaning the air among others. These services are offered perfectly and at very affordable costs that will save the whole of your family from the very bad health effects that arise from the presence of the Bipolaris mold. 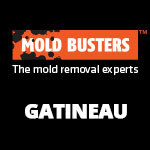 Mold Busters also work towards preventing the spreading of spores. Prevention is definitely better and cheaper than treatment. The dehumidification process is the ideal process that removes moisture from all places that the parasite can thrive. This company has modern facilities and chemicals that totally remove these pathogens from your house. 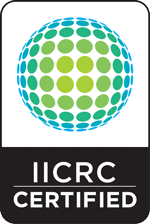 It performs air sampling and surface sampling using unique techniques which in turn produce accurate results within a span of a short time. Mold Busters then start working on the process of destroying the pathogens once the mold is discovered in the air or on any surface in your house. In conclusion, plant parasites are harmful. They may sometimes be helpful to the soil as they help in the decomposition of organic material but they are not friendly to humans. The agricultural field is usually affected by low yields which cause a lack of food in the economy. Fighting these harmful pathogens should be prioritized so as to save on the yields. Before the best methods are discovered to prevent the growth of the parasites on plants, make use of services from the Mold Busters in the meantime.